This page is (as of November 2005) no longer the main page for the Cambridge ultimate team Strange Blue. It contains many years of information, pictures, etc (from the recent past to 10 years ago or more), and I hope you enjoy browsing it. However, some of the information may be out of date, and some of the links broken. We have players of all standards, from both the University and the town. Newcomers and visitors are very welcome to come along and join in. 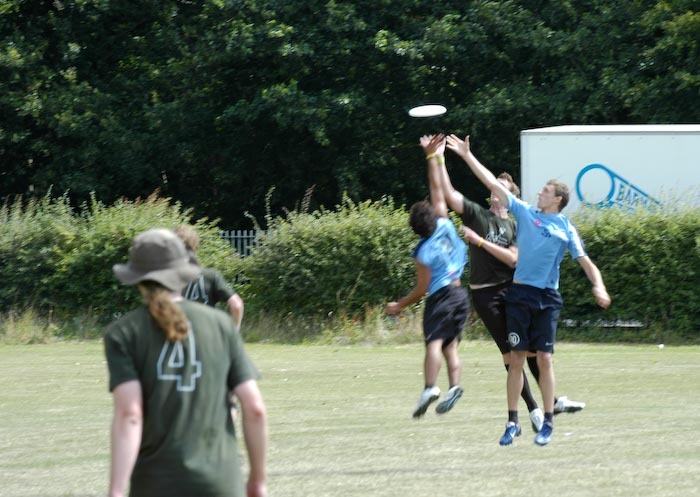 Strange Blue for some time ranked 12th-20th among British Ultimate teams. We came 6th in the National Indoor Championships (2000), and 1st in the SE regional indoor championships (2001,2002,2003). The students' first team won the Student SE regionals in 2006. In 2006, the Open team won the B division of Tour 2, then came 15th in the A division of Tour 3. 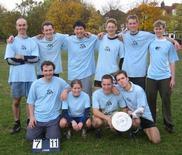 In 2008, the student team came 2nd at student nationals. 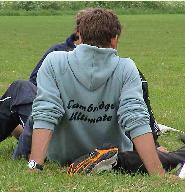 Cambridge University Ultimate website: The Student Ultimate website may well be a good place for up to date information. Also, please join the email list for the latest news. Sunday Practices Jesus Green, 11am. 11-12 Warm up, Throwing, Drills. 12-19 November: WUCC, Perth, Australia.